Genetic doping: WADA we do about the future of ‘cheating’ in sport? Due to developments in science and biotechnology, the concept of ‘gene doping’ is emerging as the number one threat to fair play in sport. This procedure, which involves the manipulation of one’s natural genetic characteristics in order to enhance athletic ability, has been banned by the World Anti-Doping Agency since 2003. Given the irreversible and potentially undetectable nature of this nascent form of enhancement, it is clear that gene doping poses one of the toughest challenges that anti-doping authorities have yet to face. 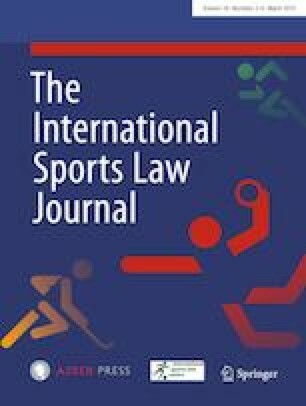 By adopting an inter-disciplinary approach to the issue that focuses on the scientific, legal, practical and ethical issues associated with this pre-emptive prohibition of gene doping, this article arrives at a somewhat inflammatory and provocative conclusion: it might be time for sport’s stakeholders to consider allowing—and regulating to a safe level—the use of genetic modification in sport. The future of cheating in sport is upon us, and the time to act is now. James Brown was a former LLM Sports Law (with Distinction) graduate from Nottingham Trent University and a former first-class LLB graduate from Keele University.